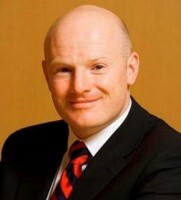 Ken Moore is the executive vice president and head of Mastercard Labs. In this role, Mr. Moore is responsible for the company’s R&D initiatives and startup engagement globally. His focus is to extend Mastercard’s leadership in innovation, monetize its innovation capabilities and leverage them to win core business and drive new product development activities. Ken has over 20 years of experience in international financial services across retail and corporate banking. Working for some of the world’s leading financial services companies, Mr. Moore has lived and worked in over 15 countries and held executive leadership roles in Product Management, Technology Delivery, Strategy and Business Development. Prior to joining Mastercard, Mr. Moore was a Director at Citibank, where he established Citi’s first Innovation Lab and subsequently expanded it globally to create a network of collaborative innovation centers across the company.